EDOX, the Swiss watch brand, has entered in to a long-term agreement to become the Official Timing Partner of the FIA World Rallycross Championship, presented by Monster Energy. The partnership with the FIA World Rallycross Championship extends EDOX’s long history of involvement with motorsport. As Official Timing Partner, EDOX will have significant trackside branding and put their name to the fastest lap at each round of the championship. There are also plans for a FIA World Rallycross-themed timepiece range. In welcoming EDOX to the FIA World Rallycross Championship, Paul Bellamy, Senior Vice President of IMG Motorsports, the series promoter, said: “We are delighted that EDOX is joining our stable of commercial partners as Official Timing Partner. The 135-year old family-owned company combines traditional hand-assembly with innovative materials and functionality at the company headquarters in Les Genevez. The Chronorally collection has been developed to withstand the most extreme racing conditions and will be the assigned watch for World RX. EDOX Swiss Watches was founded in 1884. Christian Ruefli-Flury, a talented master watch-maker and the founder of EDOX, assembled a pocket watch for his wife. She convinced him to create his own workshop in Biel-Bienne (Switzerland) in 1884. EDOX means “measuring of time” in ancient Greek. EDOX is also well known for inventing a revolutionary water resistance system, thanks to crown double gaskets. EDOX imagines, produces and distributes Swiss-made and hand-assembled timepieces. The Les Genevez based factory is operated with skilled Swiss watchmakers and modern equipment, respecting the tradition and the know-how of its elders. 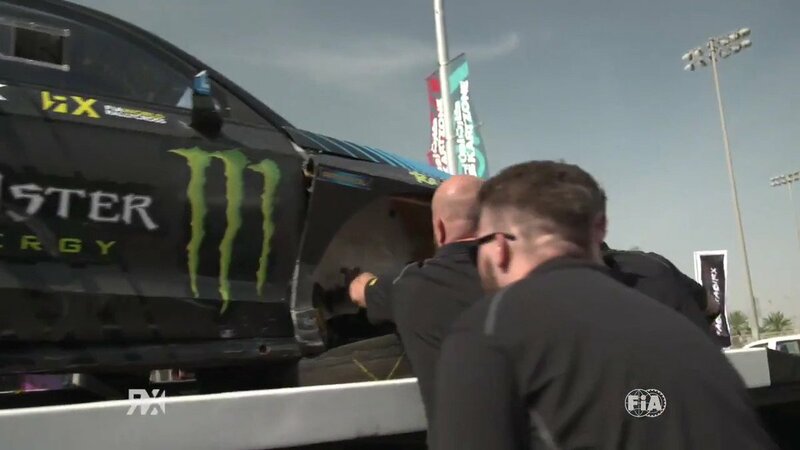 The FIA World Rallycross Championship presented by Monster Energy is head-to head, short, sharp racing on mixed surfaces (dirt and asphalt) contained within amphitheatre venues. High profile drivers are equipped with RX Supercars with over 600bhp and an acceleration of 0-60mph in less than two seconds. World RX debuted in 2014 with a calendar including events in Argentina, Turkey, Canada and throughout Europe. Building on the success of World RX’s first five seasons and the burgeoning momentum behind the series, the 2019 calendar will incorporate 10 rounds across four continents. Along the way, it will visit some of the world’s most historic rallycross tracks, while introducing two exciting new challenges in the shape of Abu Dhabi’s Yas Marina Circuit and the legendary Circuit de Spa-Francorchamps in Belgium. Following its successful debut last year, Silverstone’s Speedmachine Festival returns on May 25-26.